It seems unfair to call The Press Room a chain, since there are precisely two branches, the Surbiton original and today’s Coffee Spot, in Twickenham. Both are close to railway stations and they’re also at opposite ends of the 281 bus route. I visited the Surbiton branch in June 2013, almost exactly a year after it opened in 2012, while the Twickenham branch opened in the summer of 2015. It’s taken me slightly longer to visit this one, a mere three years, but it was worth the wait! The Press Room occupies a bright corner on London Road in Twickenham. It’s much bigger than the original, with a simple spacious interior. 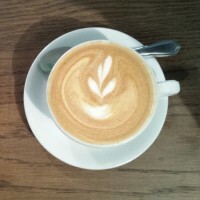 The basic offering remains unchanged, with a solid coffee offering, including pour-over, plenty of tea and a selection of cakes, with sandwiches and salads if you want something savoury. Originally, The Press Room used Staffordshire’s Has Bean, but switched to Cornwall’s Origin when Twickenham opened. The Resolute Blend is the mainstay on espresso, where it’s joined by Origin’s seasonal decaf. 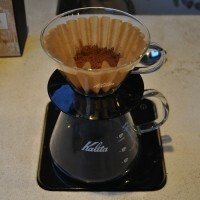 There are usually two offerings on pour-over through the V60 which change every few months. During my visit, these were a pair of Nicaraguan single-origins, one washed, the other naturally-processed. I first came across Society in its home city of Bath, where I managed to visit the two branches in the order that they opened, a rarity for the Coffee Spot, starting with Kingsmead Square before moving onto The Corridor. 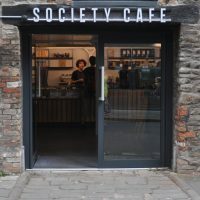 However, I’ve safely broken that trend by skipping the third Society Café, in Oxford, instead visiting the fourth and most recent branch which opened this summer in Bristol. You’ll find Society Café down by the harbour, on the corner of Narrow Quay and Farr’s Lane, right next to the youth hostel. 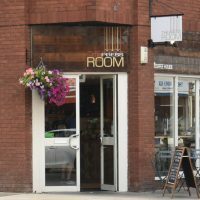 It’s a lovely setting, with lots of outdoor seating on the quayside as well as down Farr’s Lane, while there is even more seating inside, spread over two large, spacious areas, one either side of a central counter. The coffee is always of the highest order, with the house-espresso, which changes monthly, coming from Origin. This is joined by a guest single-origin which changes every couple of weeks. Meanwhile there’s bulk-brew filter and another option on Aeropress, both of which change every week or so. If you don’t fancy coffee, there’s a wide selection of tea, plus a dedicated smoothie-bar, as well as sandwiches and cake if you’re hungry. Hot on the heels of Origin opening its coffee bar in the British Library foyer comes a full Origin coffee shop, located just outside the Library on the Euston Road. This is now the fourth Origin outlet in London, with the first, on Charlotte Road, opening only last year. These join the two long-standing shops and the roastery back in Cornwall. Long and thin, the Euston Road branch offers more seating options than the foyer, plus it attracts the passing trade, whereas the coffee bar in foyer was only really known to Library visitors. As an added bonus, there’s a kitchen at the back, enabling Origin to offer expanded breakfast and lunch menus to go with the familiar doughnuts and cakes. 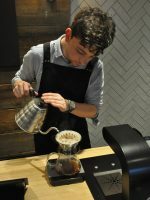 The coffee offering, meanwhile, is very similar, although the Kalita Wave has supplanted the Aeropress as the filter method of choice, while a gorgeous-looking three-group Kees van der Westen provides the espresso. Here there’s a choice of the Pathfinder seasonal house-blend plus a single-origin, with another single-origin on batch-brew and two more on pour-over. Although both branches usually offer the same beans, switch-over can occasionally vary. This is all backed up by an impressive retail range, featuring numerous single-origins. Artigiano is a chain that seems to be slowly colonising the west and southwest, anywhere, in fact, served by the old Great Western Railway out of Paddington. Starting with the original at St Paul’s in London (admittedly not served by any railway out of Paddington), there are now three more branches: Exeter, Cardiff and now this one in Reading, occupying a prime spot on Broad Street, right in the heart of the town. Of all the Artigianos, this might be the most elegant, which is saying something since Artigiano prides itself on the elegance of its branches. It’s also the only one (so far) with an upstairs (although the now-defunct New Oxford Street branch in London and the equally defunct Queen Street branch in Cardiff both had a mezzanine levels) where the elegance is really taken to a new level with its sumptuous sofas and lounge area at the back. 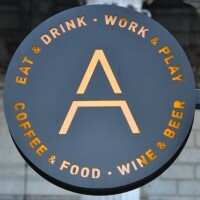 Artigiano offers the same tried-and-trusted formula: speciality coffee by day (a bespoke house-blend and a seasonal single-origin on espresso) with craft beer and wine by night, Artigiano staying open late into the evening. A limited food offering is available throughout the day, backed up by a small range of cake. 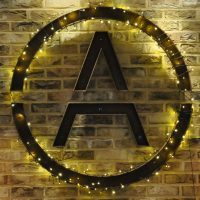 November 2018: Artigiano Reading has now become Broad Street Bar and Kitchen. Thanks to Keith for the heads up. In the foyer of the British Library on Euston Road, on the right of the doors, opposite the gift shop and next to the Friends of the British Library desk, you’ll find the second London outpost of Cornwall’s Origin. Although calling itself an espresso bar, it’s considerably more than this, and while not quite reaching the heights of the output of Origin’s flagship on Charlotte Road, it’s nonetheless very impressive. From a small counter in the corner, Origin manages to deliver its seasonal Pathfinder espresso, as well as decaf, plus, (hopefully) by the time you read this, a single-origin espresso too. During the week there’s another single-origin filter on bulk-brew, while at weekends, it’s available through the Aeropress. For those not interested in coffee, there’s a wide range of Canton Tea. And, on top of all that, well-stocked retail shelves have bags of beans and coffee kit for sale. There’s also food, both sweet and savoury. The sweet comes in the form of cookies, plus Crosstown Doughnuts, while for the savoury, Origin eschews the usual format of sandwiches in favour of a sausage roll for the meat-eaters and a Homity Pie for the vegetarians, which makes a welcome change. The Cow & Co Cafe started life in Liverpool as a design store in 2009. Over time, an espresso machine found its way into the store and, before long, customers were coming in as much for the coffee as for the various gifts and products on the shelves. Slowly, the design shop morphed into what you see today, the Cow & Co Cafe, a speciality coffee shop, with Cornwall’s Origin Coffee Roasters on espresso and, for somewhere so small, an impressive food and cake selection. It still retains its roots as a design store though, with a large set of retail shelves, while there’s also a rack of art, design and lifestyle magazines. Think of a smaller version of Manchester’s Fig + Sparrow crossed with London’s Kioskafé. The coffee offering and magazines are more on a par with Kioskafé, while the food and design elements are more in keeping with Fig + Sparrow. Although it’s only small, Cow & Co packs a lot in, including a lovely mezzanine level, which more than doubles the seating capacity. There’s also a couple of tables outside on the pavement, the dead-end Cleveland Square being a pleasant-enough environment if you want to sit outside. 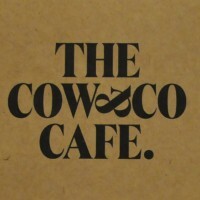 February 2019: Cow & Co is now called Thoughtfully Cafe, but as far as I can tell, nothing else has changed. Jika Jika started life in Bath about five years ago. It’s recently moved premises there, downsizing to a smaller outlet by the station. About a year ago it also opened a second branch. In London. As you do. Close enough to Euston station to be worth visiting if you’re en route to catch a train, it’s just around the corner from the northern exit of Euston Square tube station (turn right, away from Euston itself, and ignore the branch of Costa). It’s somewhere I kept going past, thinking, “Is that the same Jika Jika as in Bath?” and “I must go in there one day”. So, eventually, I did. Twice. There’s not a lot to Jika Jika, which occupies a corner of the Euston Square hotel (which, ironically, also houses the aforementioned Costa). However, it packs a lot in, including decent breakfast and lunch offerings. There’s a solid espresso menu, based around a bespoke espresso blend (plus decaf) from Cornwall’s Origin, using a two-group La Marzocco which dominates the counter at the back of the small space. 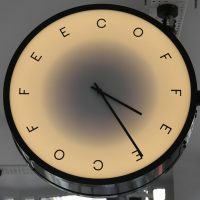 If you have time to linger, the décor is interesting, including plenty of pictures and amusing coffee-related quotations. January 2017: Jika Jika is now closed. As far as I know, the branch in Bath has also closed.